on mornings when time lay fallow. 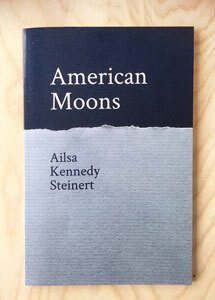 Ailsa Kennedy Steinert lives in Manchester, Massachusetts and taught English for many years at the Pingree School. She was a long-time member of the Workshop for Publishing Poets in Brookline, Massachusetts. Her work has appeared in the Comstock Review, Orion, The Larcome Review, the Saltmarsh Press anthology Rough Place Plain: Poems of the Mountains, the Audubon Society’s Sanctuary, in an anthology of poems on Alzheimer’s and on-line in Blue Ocean Institute’s Sea Stories. She was a finalist in Inkwell’s 2007 poetry contest.